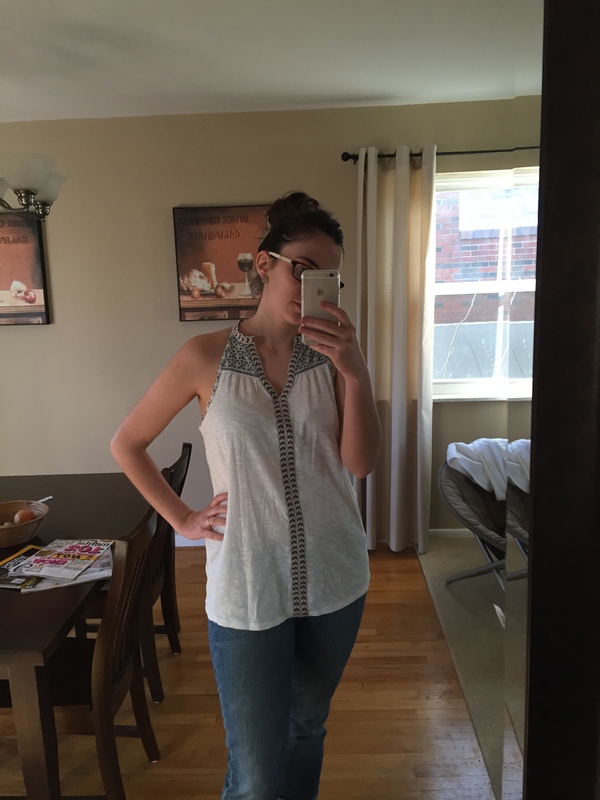 Yep, I’ve been MIA so you’re getting two Stitch Fix reviews, back to back. 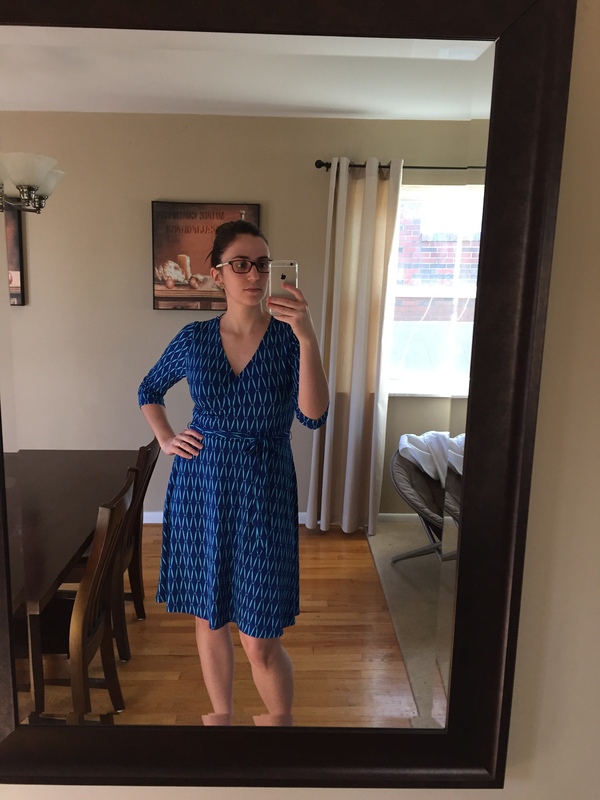 Last month, after I returned all five items from my last fix, Stitch Fix reached out to me and offered to waive the styling fee if I gave them another shot. Didn’t have to ask me twice! I thought it was super generous of them to offer, so I jumped on the opportunity. And I’m glad I did — I managed to get a couple great items out of it! A quick reminder for anyone not familiar, Stitch Fix is an online service where you set up a profile, pay $20 and have a personal stylist send you five curated items they think will suit your needs/wants. Once they arrive, you get three days to try things on, mix-and-match with items from your own closet, and decide what you want to keep. It’s super easy and, if you’re like me and hate to shop, easy is what you need when you need new clothes. Plus, referral links (like the ones in this post) get you $25 credit for each time someone orders a fix. So now, onto the clothes. For this fix, I opted not to get any jeans (or at least, didn’t specifically request them). Instead, I asked for fun, bright tops I could wear this spring. Specifically, I mentioned tank tops that I could layer to wear to work, or wear on their own for a night out. First up, the Renesme Geo Print Faux Wrap Dress, from 41Hawthorn. In profile, I really liked this dress (despite the lame Twilight reference for a name). Hopes, you’re getting high. And then, from the front … well. I mean. Isn’t the wrap part supposed to help define your waist? Why do I look so huge?! Am I really that wide? While I loved the bright blue color and the geometric pattern, just really didn’t do me any favors. I felt like it was nowhere near as flattering as it should be, and for the price, just couldn’t justify the purchase. I think if the neckline were a little lower, or if there was something to break up the solid pattern, it may have ended differently for the two of us, but this one just wasn’t meant to be. Next up, the Bowie Solid Dolman Sleeve Top from Laila Jade. This one I was pumped about as soon as I saw it in the box, because I loved the color and already have a couple shirts in this same style. What do you mean, pick up the sweatshirt from the chair before you snap pictures? And, I was right. I loved the way this top gives you a bit of space around the middle without being completely shapeless. It’s a nice, lightweight fabric for spring, too, so that’s definitely a bonus. 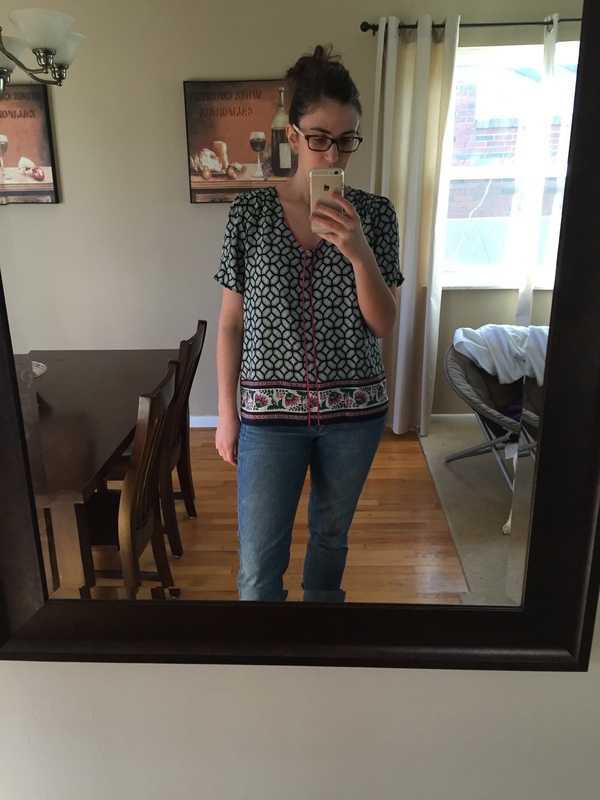 Another item I really thought I was going to love when I first took it out of the box — this Phelan Blouse from Collective Concepts. I was wrong. The sliky soft material and the fun print were not enough to excuse those horrific puffy sleeves. What is that about? And what about the cut of the shirt itself? It was strangely too large and too small at the same time — boxy around the middle but short in the length. There was no hemming and hawing about this one, it was definitely going back. Cost: $68. Verdict: Sent back (with pleasure). This next top kind of surprised me. It’s the Priya Abstract Floral Print Knit Back Tank (say that 10x fast) by Brixon Ivy. Typically, I don’t wear many floral prints. I’m not really a girly-girl and they can often come off too frilly for my tastes. But this shirt, for whatever reason — the gray knit back panel? The abstract look to the flowers? — I actually really liked. It’s feminine without being in your face, and I love the bold colors in lieu of traditional pastels. It made for a pretty perfect Easter look, too, so timing was pretty good on this one. Finally, the last tank top in the box was the Fulham Embroidery Detail Top by RD Style. Once again, I knew I would want to keep it as soon as I pulled it out of the box, and I was right. I’ll keep this one, tank you very much. 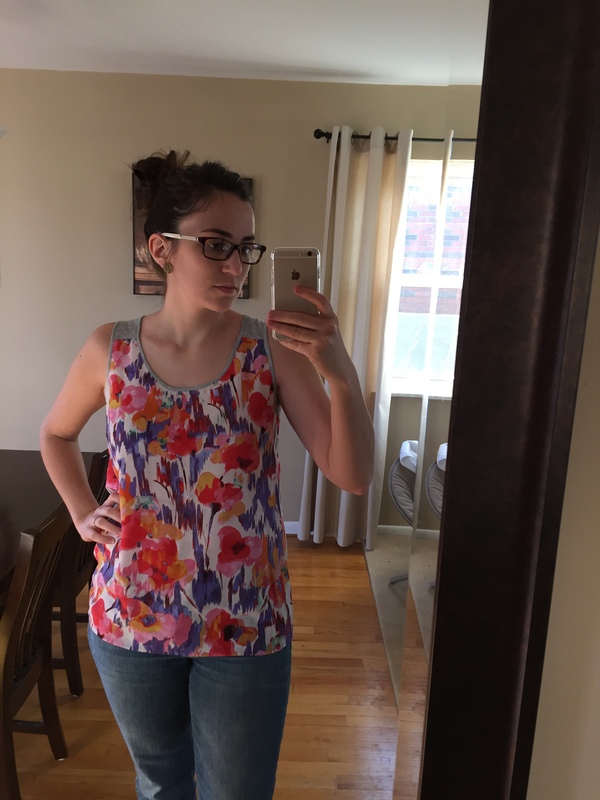 Sure, it’s a little on the thin side, but for a fun, light, summery tank top I couldn’t resist. I love the neckline, and the super simple embroidery detail is spot on for my style. I can see this getting plenty of use for sunny days outside this spring and summer. Overall, this was a really solid fix. 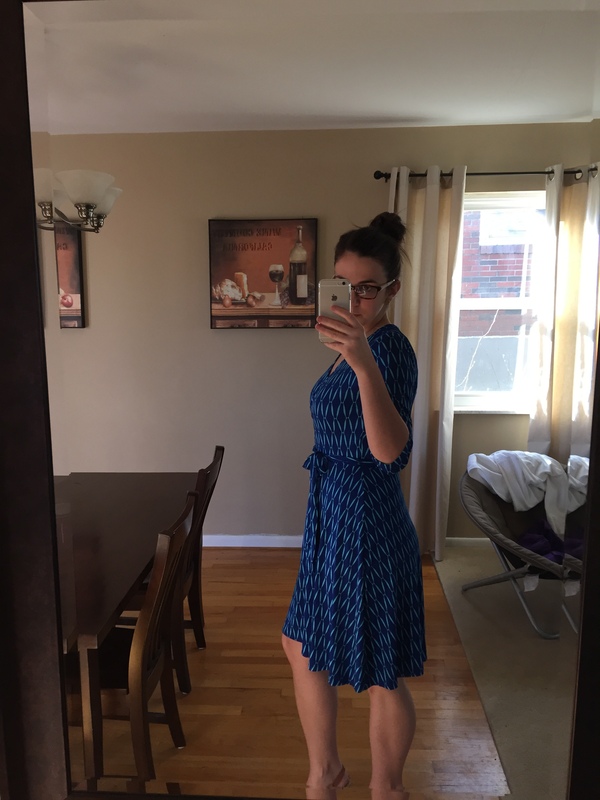 I wanted so badly to love that wrap dress, but knowing it wasn’t really a great fit for my figure and that I could likely find something better suited to my style for the price, I had to pass. That blouse, though. That one couldn’t get out of my house fast enough. 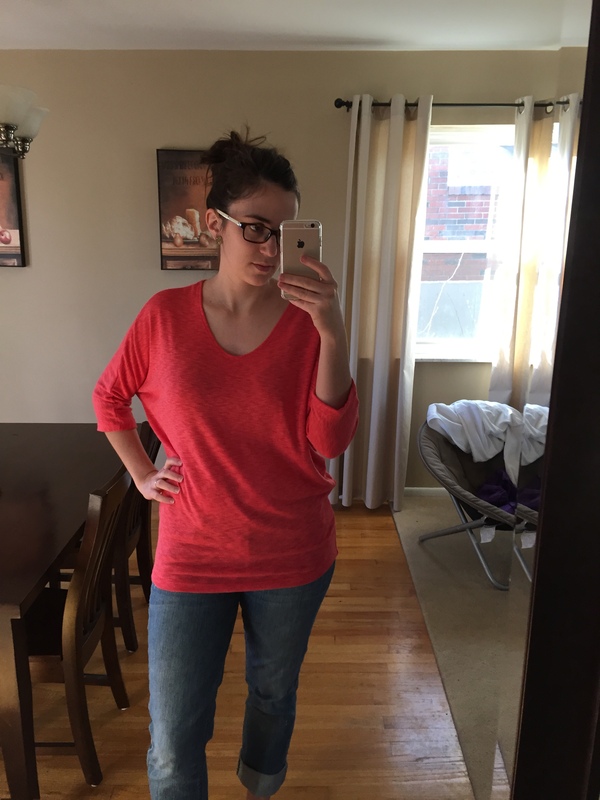 If you’re interested in trying Stitch Fix, and if you’d like to see more reviews from me, I’d love for you to use the links in this post. These referral links do nothing to the price of your first fix, but they give me a $25 referral credit. Everybody likes free money, right? Even when it goes to other people? Next Holy crap, it’s really happening.